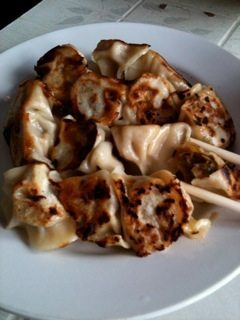 The ultimate dumpling--get them while you can. Northern Han, sometimes referred to simply as “the dumpling restaurant” in Chinatown, has been on my must-try radar for some time. I love dumplings. 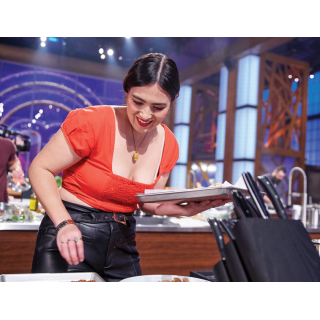 That, in spite of that fact they my experience with dumplings has tended towards their being little grease sponges or lackluster bundles of bland. To satisfy a craving for my largely imaginary comfort food, I sometimes resort to the frozen ones from the Asian supermarket. In restaurants, I’ll settle for the ones smothered in spicy peanut sauce—but let’s face it, it could be anything under that sweet blanket of peanut butter. Long story short, I made it to Northern Han — a glorified hole-in-the-wall —this week and discovered the homemade dumplings of my dreams: fresh (not frozen), delicately flavoured, tender and moist with the most beautiful golden pan-seared crust on one edge. I shared an order of 14 dumplings with my daughter and we gobbled them up faster than I should admit. 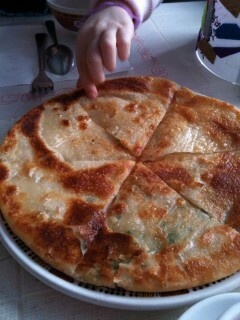 We had already polished off another totally delicious munchable marvel: the flakey, crisp and chewy green onion pancake. But back to the dumplings. Available boiled, steamed, or pan-fried and with a variety of fillings: pork & chive, dill & pork, chicken & cabbage, lamb, beef or veggie with mushrooms, I began making plans to work my way through the menu. That is until the owner informed me on our way out that she had sold the business and was moving back to China. As the shocked and disappointed look on my face grew, the language barrier seemed to disappear. She sympathetically drew my attention to the calendar and pointed to the 31st of December — less than 10 days away. 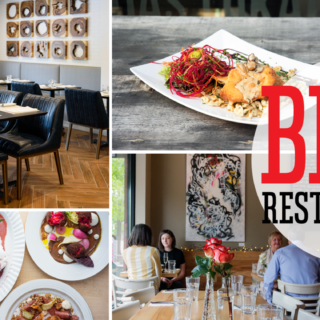 That will be the day before the new owners take over and introduce a new menu. So fellow dumpling lovers, get to Northern Han while you can. As the saying goes: it’s better to have loved and lost than never to have loved at all. Northern Han, 870 Somerset St. W., 613-567-2122, open 11:30 a.m. – 10 p.m. Closed Thursdays.